Looking for a secluded beach for the ultimate romantic getaway? San Agustinillo on Mexico’s Pacific Ocean is your answer. With a population of 200, and ample shacks built right on the sand, you’ll be able to count the other tourists on one hand as you spend your days swimming in the clear waters and dining by candlelight with the sand between your toes. San Agustinillo was never part of our original itinerary. 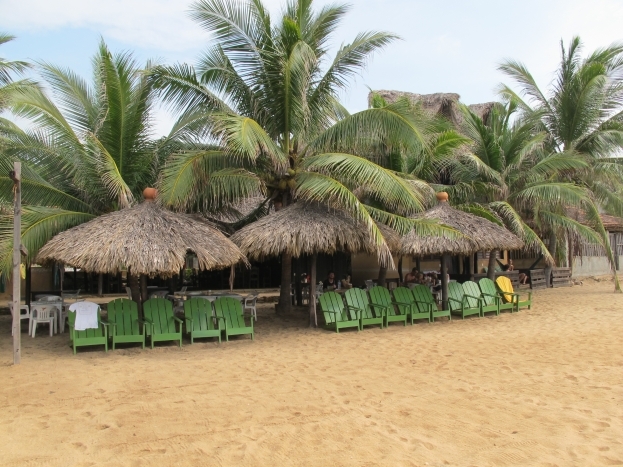 We found ourselves there after canning our trip to surfer haven Zipolite, after we realised it was way too hot to sit on a beach you couldn’t swim at. 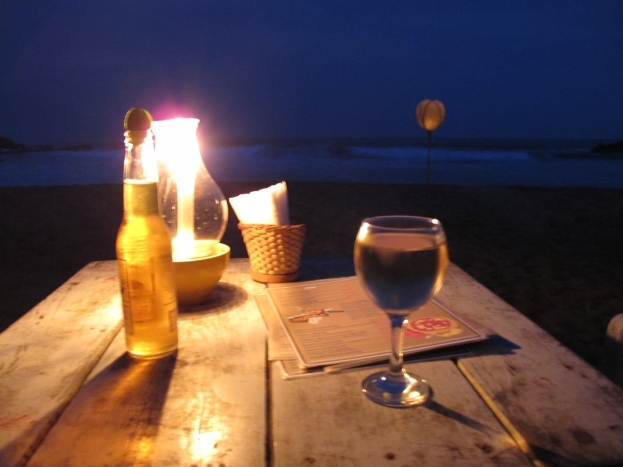 We asked a local waiter for his favourite beach in the area – “San Agustinillo” was his immediate response. Getting there was half the fun. 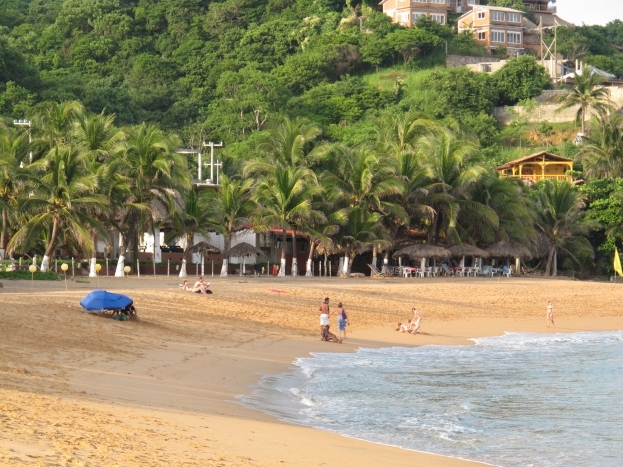 You have to catch a local bus from Puerto Escondido (they leave every 15 minutes from near the first class bus station), where you’ll get squashed in amongst the locals and their goods, while bopping your head to blaring Mexican music. After we arrived, we wandered down to the beach and discovered a beautiful cove, with a sandy beach lined with palm trees, restaurants and cabanas (cabins) to rent. For $300 Mexican pesos (less than $30 Australian dollars), we checked into a private cabana behind the Mexico Lindo restaurant and thanked the travel gods for granting us a few days in paradise. It’s worth noting that there’s no ATM in San Augustinillo. When we realised we were running low on Pesos, we had to jump in the back of a “colectivo” (a pick-up truck with two benches that everyone sits on) to get taken to the nearest market centre, Pochutla, which is about 45 minutes away. Using our sketchy Spanish to try explain to the driver where we wanted to go was a bit tricky, but we got there in the end and were proud of ourselves for travelling like locals.